C4 S6 died and won’t start. After some advice as I don’t have a scanner handy. Today whilst driving down the road my C4 S6 died instantly. 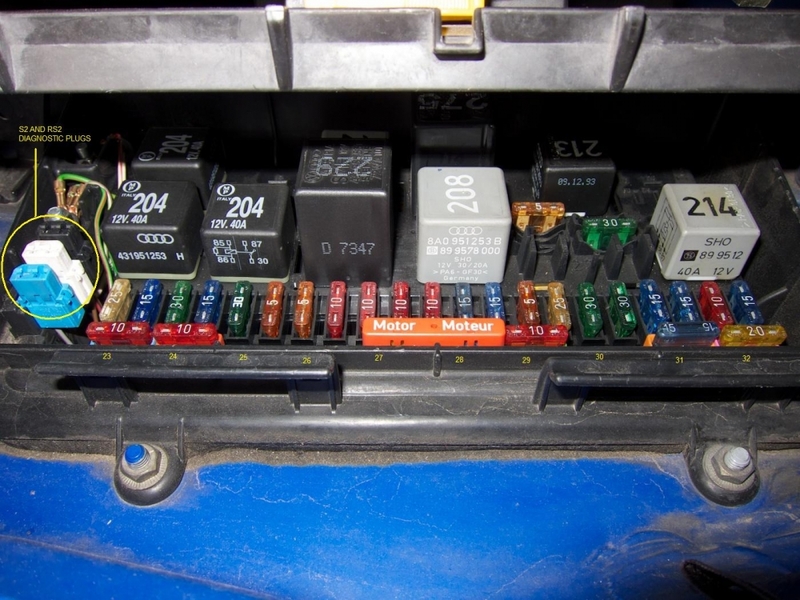 I’m not familiar with these cars however, I’ve tested the fuel pump relay and it works as should with 12v across the coil, I’ve bridged 12v and the fuel pump kicks in, when the engine turns over the rev gauge doesn’t move. Any thoughts on these symptoms before I book it into a garage and let them find out the problem? Re: C4 S6 died and won’t start. My wild stab is crank angle sensor fault or pin dropped out of the flywheel. You can check codes with a paper clip as per link below. You will find the relay box on the right side behind the firewall in the engine bay. The 4 digit fault codes will be displayed by the engine check light, simply count the number of blinks and write it down, then the next until you have a 4 digit code. The you may have to jump it again to get the next code, not sure, try and see. There is enough information online to fix these cars yourself if you are that way inclined. Pull codes and I will help you find the information you need. Another page with same info. Thanks for that mate. Will attempt more fault finding over the weekend.